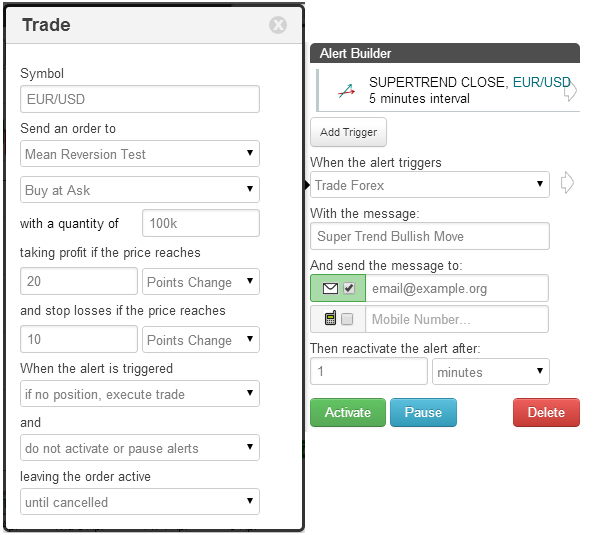 On the TimeToTrade charts, a Super Trend indicator can then be used to execute trades, provide an Email or SMS text message notification when your candlestick chart patterns have been met or backtest a trading strategy. Learn more about the Super Trend indicator. Rising Threshold Alert Trigger, is triggered when the value of the Super Trend rises above a specified value. 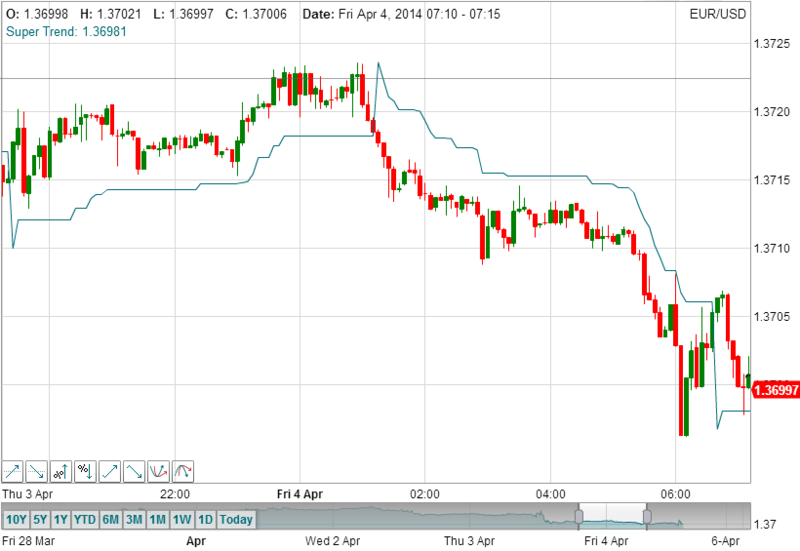 Falling Threshold Alert Trigger, is triggered when the value of the Super Trend falls below a specified value. 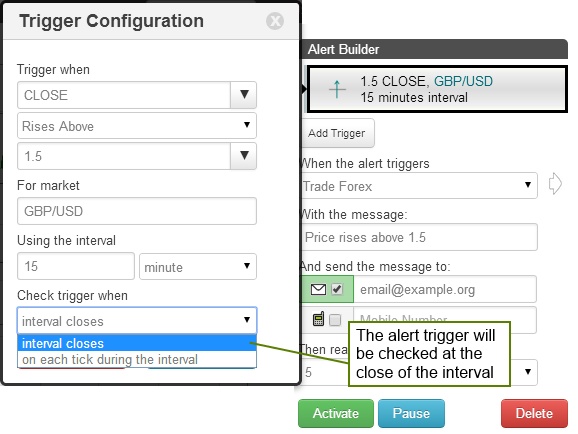 Break-Out Alert Trigger, is triggered when the Super Trend increases by a specified value within a the selected interval period. 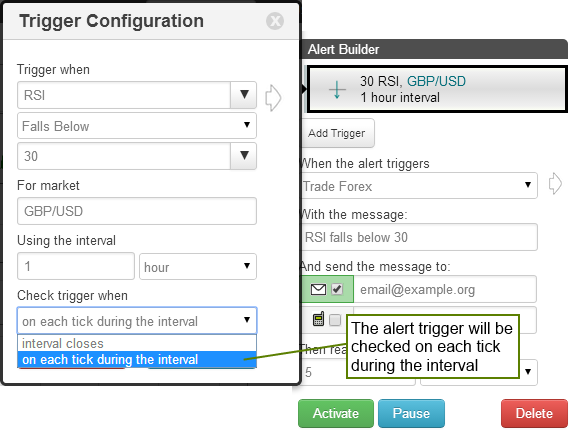 Pull-Back Alert Trigger, is triggered when the Super Trend decreases by a specified value within a the selected interval period. Percentage Break-out Alert Trigger, is triggered when the Super Trend increases by a specified value within a the selected interval period. Percentage Pull-back Alert Trigger, is triggered when the Super Trend decreases by a specified percentage within a the selected interval period. 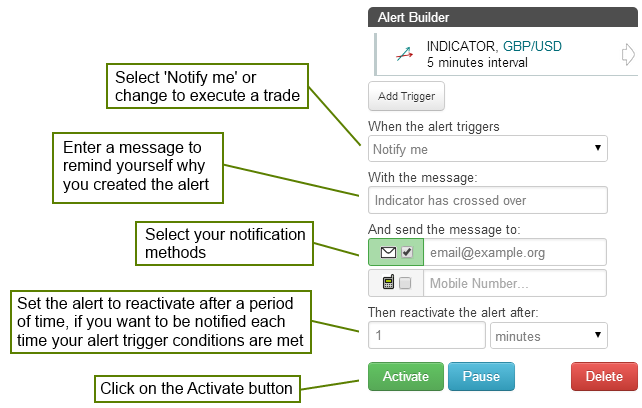 Above Alert Trigger, is triggered when the Super Trend is above a specified value. 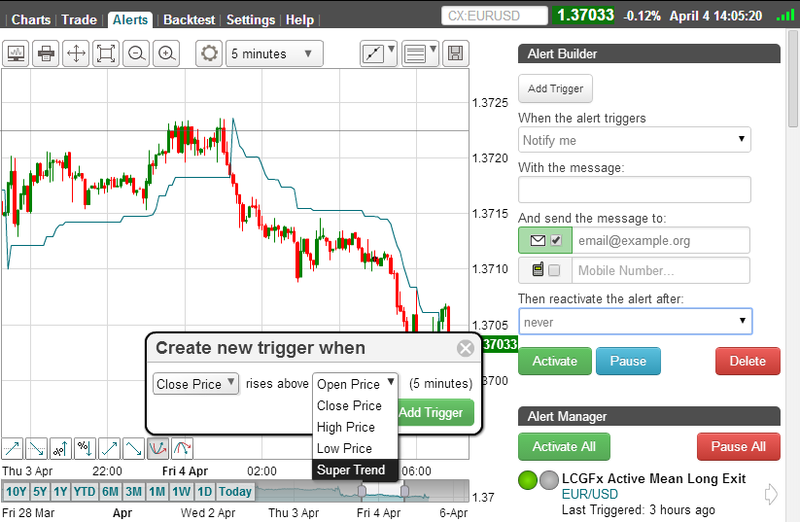 Below Alert Trigger, is triggered when the Super Trend is below a specified value. Positive Crossover Alert Trigger, is triggered when the Super Trend rises above / crosses over another indicator, price, a specified value or trend line that you have drawn on the chart. Negative Crossover Alert Trigger, is triggered when the Super Trend falls below / crosses under another indicator, price, a specified value or trend line that you have drawn on the chart.